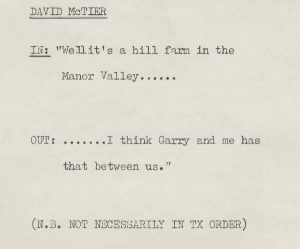 The script shows that a crew of seven men and one woman worked in the truck on Sunday 26 September 1976 to produce a single episode of One Man and His Dog. 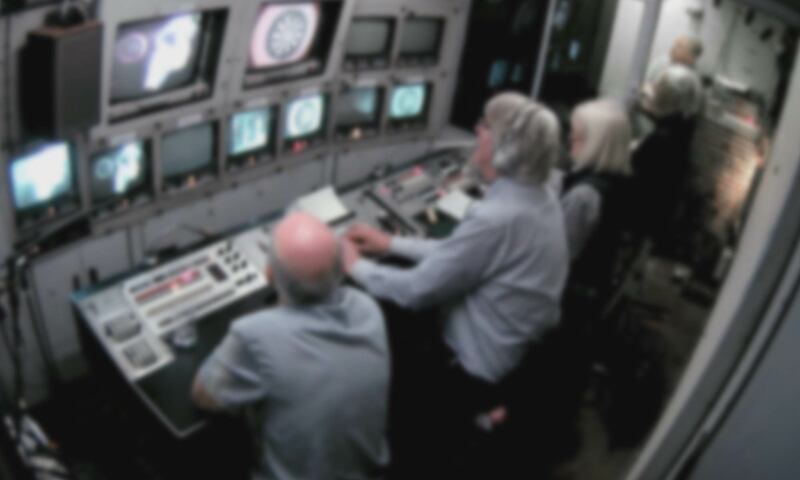 In the morning, they prepared title shots and recorded captions for subsequent addition to the programme. After a break for lunch, they rehearsed – and they recorded – the sheepdog trials on the course itself. Just one hour was allotted to these recording sequences. The rest of the working day was then spent rehearsing and recording ‘linking material’ – largely consisting of on-screen introductions and interviews involving the programme’s presenters, Phil Drabble and Eric Halsall. This copy of the camera script was shared with the ADAPT project by outside broadcast director Geoff Wilson, who was in charge of the recording on the day. The script is covered with Geoff’s pencil notes, made to aid him in the process of directing the programme. Visit the Outside Broadcast section of this website to explore videos produced during our reenactments of on-location television production. Watch the video below for a taste of our footage.